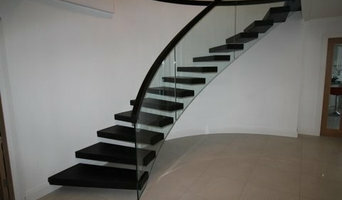 We Specialise in custom cutting edge design with extensive experience in curved, cantilevered and glass staircases. Extensive range of modular staircases available for export. 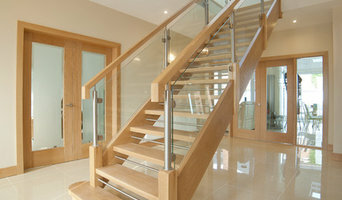 Located in Dublin we work throughout the UK delivering and fitting quality staircases. Located in Co. Limerick, Marble Stairs is a boutique natural stone provider with the emphasis firmly on customer service and product quality. With fewer overheads than a large showroom, our customers are guaranteed a competitive price that does not compromise on quality or finish. We are centrally located only one hour from Cork city, 20mins from Limerick city, and 20mins from Tipperary town. 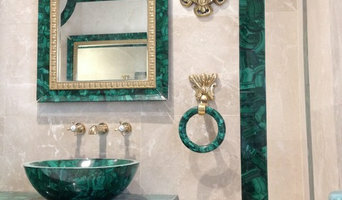 We are stockists of a wide range of natural stone tiles including marble, travertine, limestone, and mosaics for floors and walls, for commercial and residential use. We also stock specialist marble tile adhesive, grout in a range of colours, stone cleaners, sealers and waxes ALL at discount prices. We manufacture and supply stairs throughout Dublin and greater area. Contemporary and classic designs. 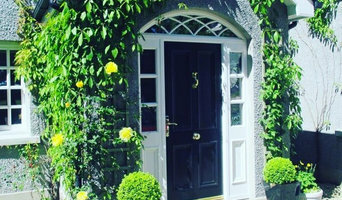 Loughnane’s Joinery is a long established family business and is acknowledged as one of the leading manufactures of superior bespoke solid kitchen doors, Vinyl & Mdf doors and impressive accessories throughout Ireland and the UK. Loughnane’s have been manufacturing top quality goods dating back the past seven generations to 1796, so we know our industry and we are synonymous with quality. Located in Monivea County Galway all our goods are manufactured in our 45,000 square foot factory. Loughnane’s Joinery is equipped with state of the art, modern high tech machinery. We make continued investments in machinery to give our customers the best quality and also improve our competitive lead time. Loughnane’s Joinery was one of the first companies in Ireland to invest in CNC technology. We constantly keep up to date with new trends, ideas and innovative designs endeavouring to give customer satisfaction. We make to order so your kitchen is always unique. I hope you enjoyed viewing our extensive designs and ranges should your customer wish to choose a traditional, modern or contemporary kitchen, Loughnane’s Joinery has it all. Should you require any further information on our products please speak to our sales representatives that will happily assist you any way they can. Customer satisfaction is our main priority and we have built strong relationships with our customers over the years. Our customers can always rest assured they will get the best quality bespoke goods, at a competitive price and know that we appreciate their business. Loughnanes Joinery's is a client company of Enterprise Ireland and we have grown our export market supplying kitchen doors, and full kitchens to the trade. Our Fire Doors are an important element of our exports where we have supplied prestigious buildings in the London area. Brianformwork specialises in bespoke concrete helical staircases and concrete commission pieces to fit your individual needs and tastes. Constructed in concrete, a robust and versatile material and polished to a smooth finish, our stairs create a modern impact in your home, business or commercial property. We provide consultative services, architectural drawings and will take on any creative concrete project. We supply feature metalwork to Ireland, UK and further. At BAVARI we manufacture bespoke timber products such as Curved Staircases, Sliding Sash Windows, Internal Doors, Front Entrances, Mouldings, Columns, Period Shutters, Wall Panelling and all types of Luxury Fitted Furniture from dressing rooms, pantries and vanities to libraries, roof lanterns and fitted bedroom furniture. Our dedicated investment in state of the art machines and highly skilled workforce allows us to deviate and specialise in complete home restorations and fit-outs without compromise. Our beautiful designs, professional, friendly service and skilled craftsmanship combined with our passion for creating timeless pieces of excellence, gives us a distinction in quality, innovation, dedication and service that sets us apart from our competitors. Creating a balance between centuries old traditional construction techniques and state of the art technology while using only top quality sustainable timber and environmentally friendly materials, our products are designed and built to last the test of time. Fabweld have delivered many successful and unique products to commercial, public bodies and residential clients over many years. Our reputation is backed up with an exceptional knowledge of fabrication, welding, materials handling, construction and engineering. Fabweld has over 25 years’ experience in designing and producing commercial staircases. We have designed bespoke commercial staircases for clients large and small throughout Ireland. Our engineers work with in a large range of materials which are carefully crafted specifically for your staircase design. Fabweld can create and install your staircase whether it is constructed using a mixture of glass, wood, stainless steel or iron. We guarantee that we will produce an exceptional feature staircase for your premises. B&C Joinery is a family run company where we specialise in top quality custom built joinery in hardwood and softwood. From gates to custom built staircases, our skilled joiners can design and manufacture any joinery product in a wide choice of woods. We do our utmost to meet the needs of our clients - for one custom built item or for an entire production run. Our products include custom built staircases, windows, doors, shop fronts, skirting boards, architraves, specialist mouldings and gates, all of which can be made to suit any budget and taste. Staircases are our speciality and we always welcome the challenge of an innovative design. All About Stairs is a family run joinery located between Newcastlewest and Rathkeale in Co Limerick which specialise in the design, manufacturing, fitting and spray finish of timber stairs in the Munster Region. 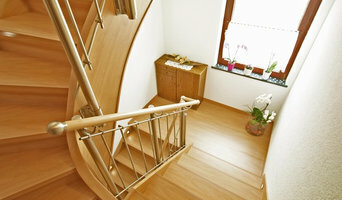 Patrick Roche, the owner, is in the business of making stairs since 1996 and set up his own joinery in 2006. All About Stairs products range from a standard straight flight to a more elaborate stairs designed to be the focal point of a home. Experience has taught us that all our customers are unique and have different ideas about what they want from a stairs. For some customers it is a functional part of their home whilst others take the opportunity to invest in a stairs that will make an impact on any visitor to their home and add real value to their property. We can cater to all these needs, with a large selection of products and designs to choose from. We can incorporate any ideas that you, our customer, may have. These range from hard and soft timbers, over twenty spindle choices, a variety of fretwork and hand rail options. To finish the back of a stairs, we offer a variety of paneling, tongue & groove sheeting, cupboard storage or slabs for painting. Our stairs range include the standard straight flight, Open string, Cut String, Closed String, Open Riser and attic conversion stairs. We also offer professional spray finish in varnish, paint or both. We cover concrete stairs and can provide a glass banister. We aim to provide one off, custom made stairs for each of our customers. To see a sample of these please view our Photo Gallery page or visit us on facebook by clicking on the Facebook icon at the bottom of this page.